A sublime and lively palate lined with chocolate, spice and confectionary cherries. 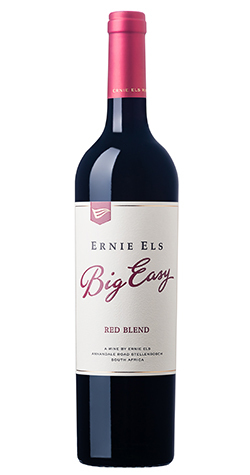 The sublime and lively 2016 vintage shines through in perhaps the best Big Easy yet. A melange of ripe Shiraz and Cabernet Sauvignon is layered with waves of Grenache, Cinsaut, Mourvèdre and a touch of Viognier. Quite perfumed and fittingly complex, the palate is lined with chocolate, spice and confectionary cherries. A peppery nuance adds further character, all framed by a fine structure and juicy core. Ready to drink, its long chalky finish will assist its 5 years ageing potential. The grapes were hand-picked in the cool of early morning. On the sorting table, all excess stalks and inferior berries were carefully removed. Grape bunches were gently destalked with a Bucher de-stalker and lightly crushed. Fermentation took place in 7-ton, open-top stainless steel tanks with yeast WE 372 being added to the juice. The wines were pumped-over and punched-down manually 5 times per day ensuring maximum colour extraction from the skins. After primary fermentation the maceration period was 10 - 16 days before pressing. Each variety is maturated separately (micro-vinified) in oak barrels before blending and eventual bottling.